This book was first published in 1976 as a companion volume to a BBC television documentary series on the blues. That such a deeply American musical form would receive such capable treatment from an Englishman should come as no surprise, given the enthusiasm for the blues felt by a generation of British musicians that included Clapton, Page, John Mayall, The Rolling Stones, et al. The book forms a social history as much as a musical one, giving documentary testimony to the grinding poverty and oppression suffered by generations of African Americans in the Deep South. The arc of the blues, of classic blues as it were, was a relatively short one. The blues developed from a variety unschooled musical forms - field hollers, jug band music, stomps and other manifestations that were miles away from what was considered respectable music at the turn of the 20th century. When in 1903 W.C. Handy, a formally trained musician and bandleader, heard a guitarist on a train platform in Clarksdale, Mississippi playing with an old knife for a slide, and later had a request for his orchestra to forgo his more accomplished tunes in favor of “native music”, he began to see the potential of the blues. 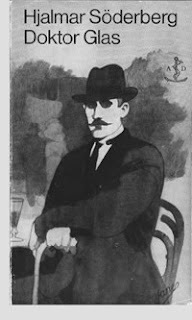 Handy’s revelation was a somewhat conscious turning, as opposed to the pianist Jellyroll Morton, who absorbed the music in whorehouses, gambling joints and dives along the Gulf Coast. The Holy Land of the Blues was the fertile delta between the Mississippi and Yazoo Rivers near Clarksdale, where the music - unamplified as it was, and performed by men (and women) who toiled all day at hard labor - had to be loud to compete with the whoops and shouts of the gamblers, johns and drunkards in some pretty rough spots scattered among isolated communities. Even as the music spread, west to Texas and up to Chicago, it was looked down upon as a very low, unsophisticated type of music, the music of the downtrodden and the poor, attitudes that persisted even among some black communities as the momentum of the music wound down in the postwar era. The blues largely remained a rural music, despite being carried to and being revitalized in cities such as Chicago, Memphis, and Dallas. It was in some ways analogous to the “hillbilly” music of the southern whites that would coalesce into country music, and there was clearly some cross influence going on, even if the performers tended to labor under segregation. 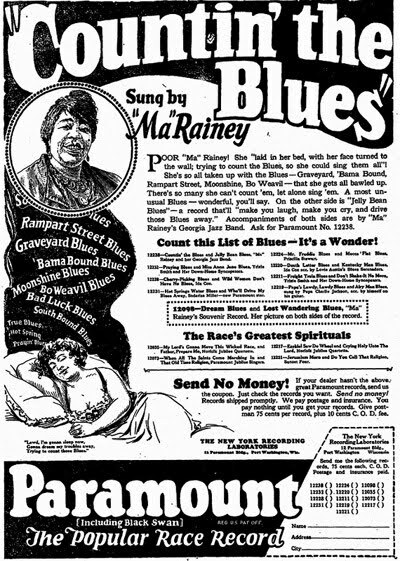 Oakley’s book, while putting the music in social context, does not skimp on discussions of the great blues artists of the 20’s and 30’s such as Mamie Smith, Peetie Wheatstraw (“the Devil’s Son-in-Law”), “Ragtime Texas”, Blind Lemon Jefferson, Victoria Spivey, and the big-hearted Ma Rainey. 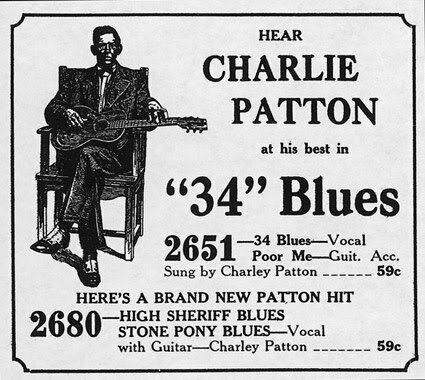 The legends are also here – Charley Patton (whose only known photo, with his serious mien, belies the man’s expansive sense of humor), Skip James, Robert Johnson, Blind Willie McTell, Son House – as well as the postwar greats such as Howlin’ Wolf, Muddy Waters and Elmore James. If you are lucky enough to have recordings of these artists, you’ll want to supplement your reading with some listening. When Oakely and company were preparing their documentary, they had opportunity to interview some of the greats and get some terrific anecdotes. 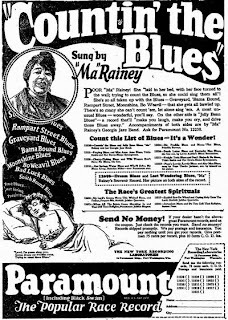 (A vaudeville performer tells the notoriously unlovely Ma Rainey that there are only two things he’s never seen, “an ugly woman and a pretty monkey”, to which Rainey replies “bless you, darlin’”.) This book is a sympathetic, informative, and entertaining history, with an emphasis on the singularly remarkable blues of the 20’s and 30’s, and is well worth the attention of any blues enthusiast.